The Trydon SolutionTM–dual technology at its best! The Trydon Solution™ maximizes the service life of your existing metal halide lighting installation, reduces your energy consumption by nearly 50%, and eliminates maintenance costs for up to ten years. Our patented post top controller enables you to customize how you control your existing outdoor lights by selectively dimming or turning them off after hours. 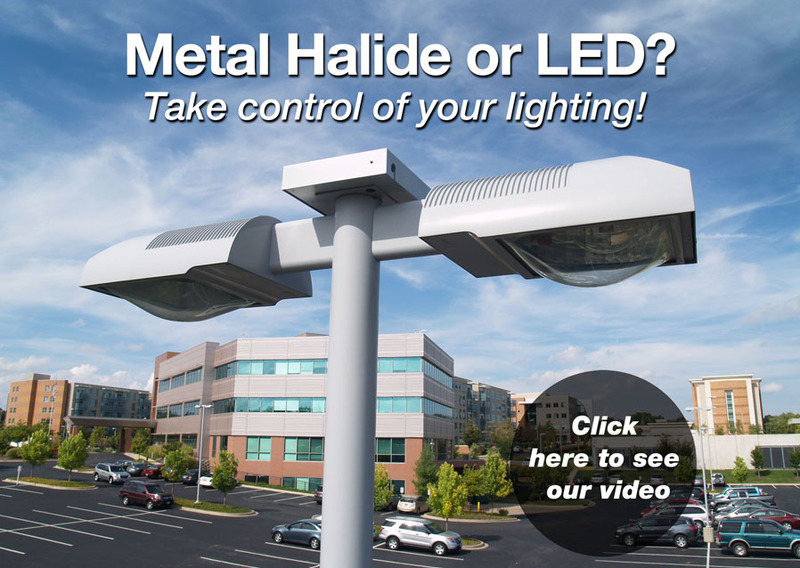 Yielding impressive rates of return and project payback timeframes of less than three years, new state-of-the-art halide lamps will significantly improve nighttime visibility of your dealership inventory. When LED price levels come down sufficiently to support your decision to switch to LED, get the most savings you can out of your lighting upgrade. Dimming your new LED lights after hours with our post top controller can reduce your total energy consumption by over 90%. The conversion you made to LED lights reduced your energy consumption by 60%. However, continuing to operate your new lights at full brightness all night simply wastes money. Dimming your lights with our post top controller can reduce your after-hours energy bill by 80%. What are Trydon's features and benefits?